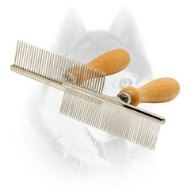 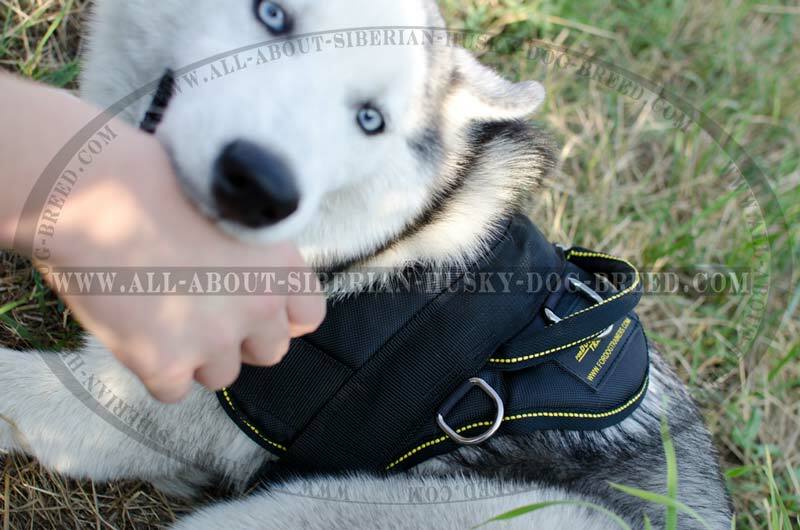 Do you want your Siberian Husky to be happy and joyful? We are sure, you do. 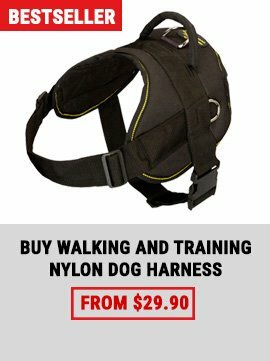 You also would like your training hours, daily walking or visits to the vet with your dog to become more comfy and safe. 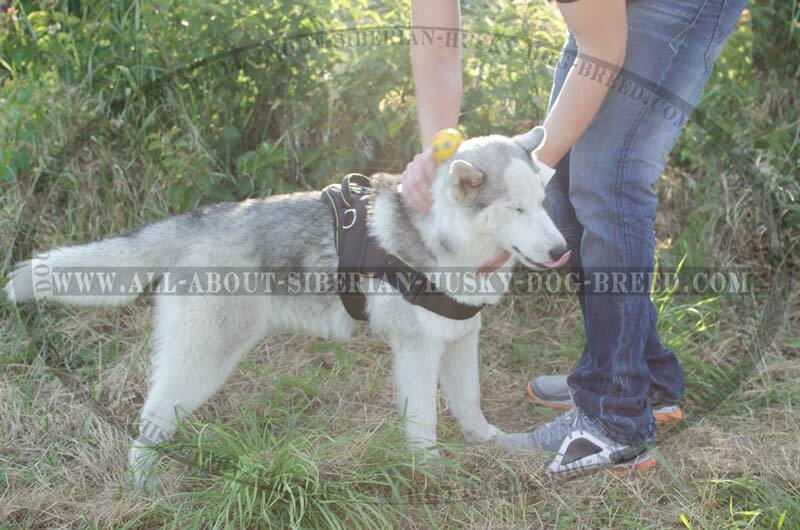 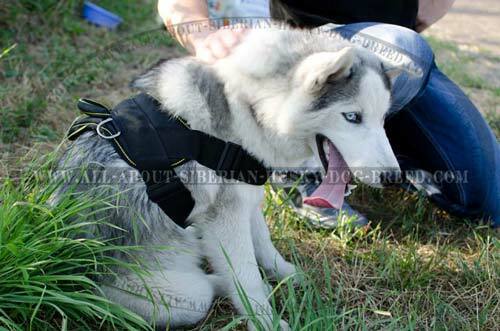 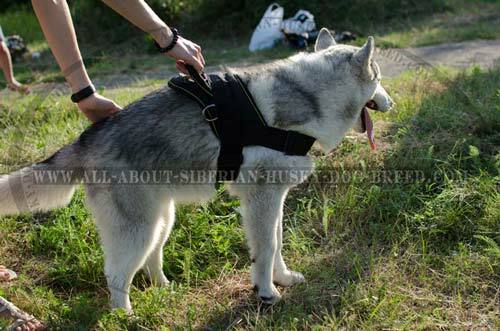 We understand you, that's why our craftsmen did their best to make this multifunctional nylon Siberian Husky harness for walking and training. It is extra light weight equipment, comfortable and well-fitted. 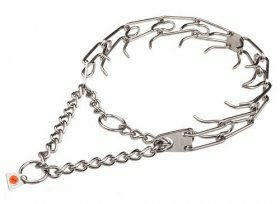 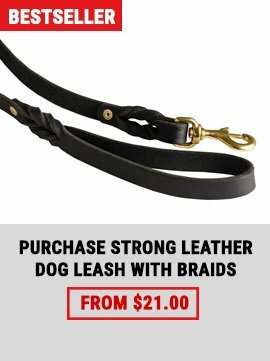 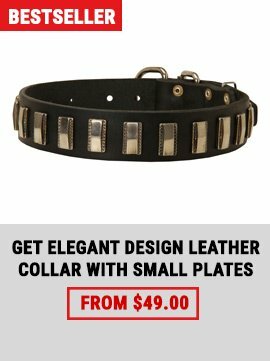 Strong nylon handle will help you to control your dog, and using quick release buckle, you will soon admit, that the process of harnessing becomes simple. 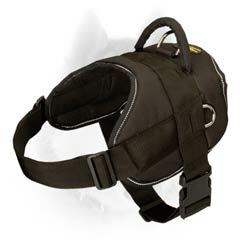 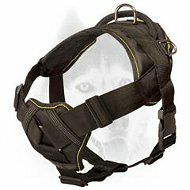 This harness is made for all weather conditions, and it has approved its durability by dog owners and professional trainers. 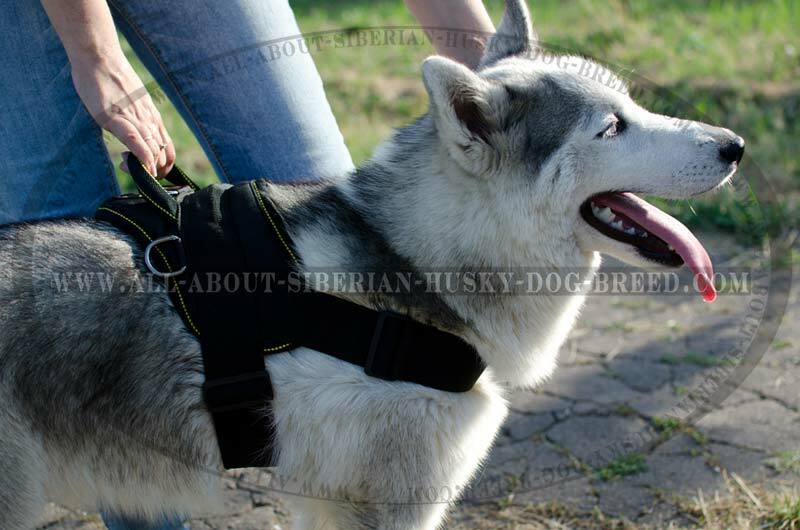 Buying this nylon harness for your Siberian Husky, you get best quality for available prices. 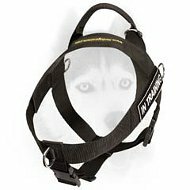 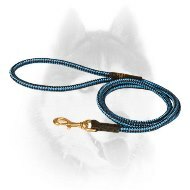 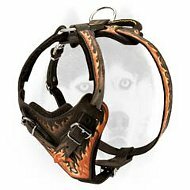 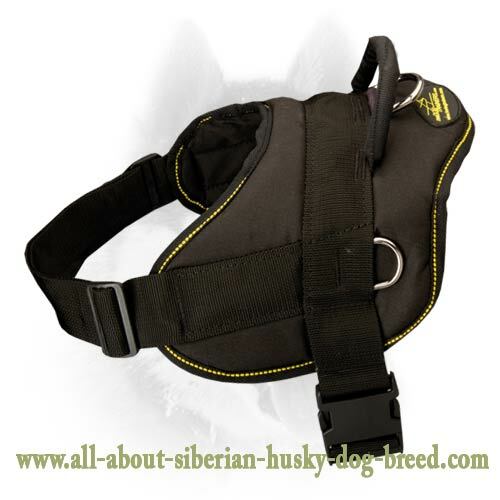 This harness is great piece of light weight nylon Siberian Husky equipment, that has two extra D-Rings sewn into the sides. 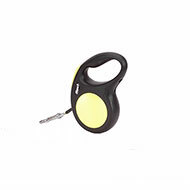 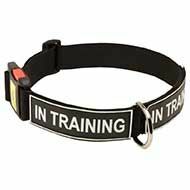 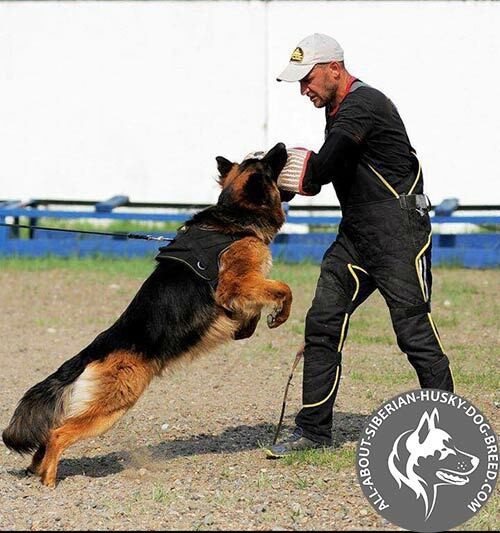 It can be used nearly for all kinds of activities, either for training, tracking, pulling, or everyday walking. 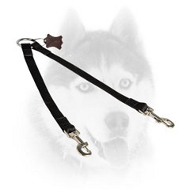 Only one quick release buckle is used for safe and comfort taking this harness on and off. 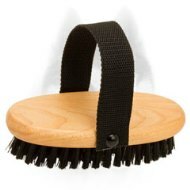 Another one advantage is that it is fully machine washable. 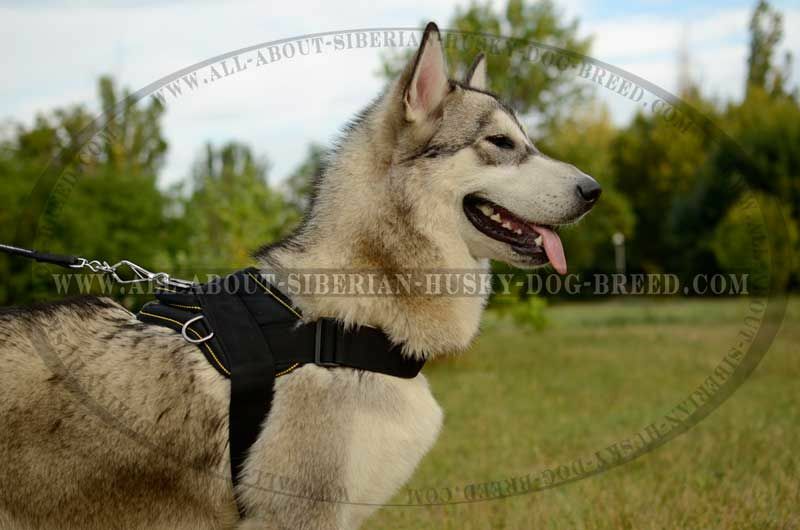 So, wherever your Siberian Hysky would go and whatever do, after short time washing this harness will look as great as new one. 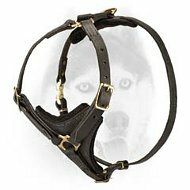 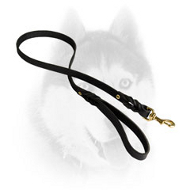 This harness is fully adjustable, and it makes your Siberian Husky easier to handle and to control. As your dog grows, this long-lasting harness adjusts to just the proper fit. Order the right harness size based on your Siberian Husky measurement. 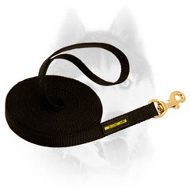 If your dog's measurement falls between two different sizes, order the larger size. 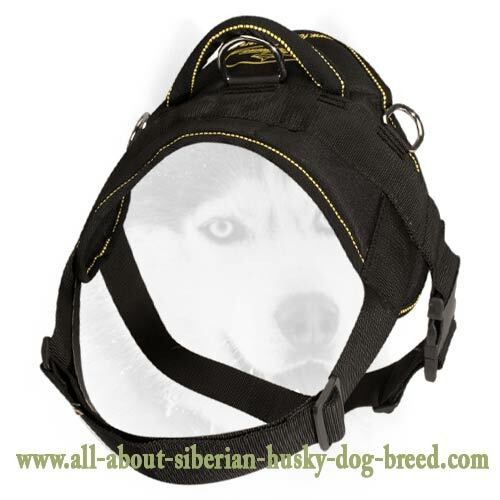 It will allow room to grow. 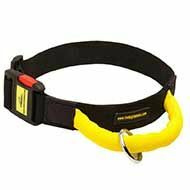 You can easily attach a leash to ring located on top of harness.